Wow, Lee-Anne! Your card is stunningly beautiful! Thanks for joining us at Fusion! Beautiful card. Thanks for sharing your card at ATCAS!! OMG, REALLY amazing, LOVE this card!!! Thanks for joining FUSION!!!!! 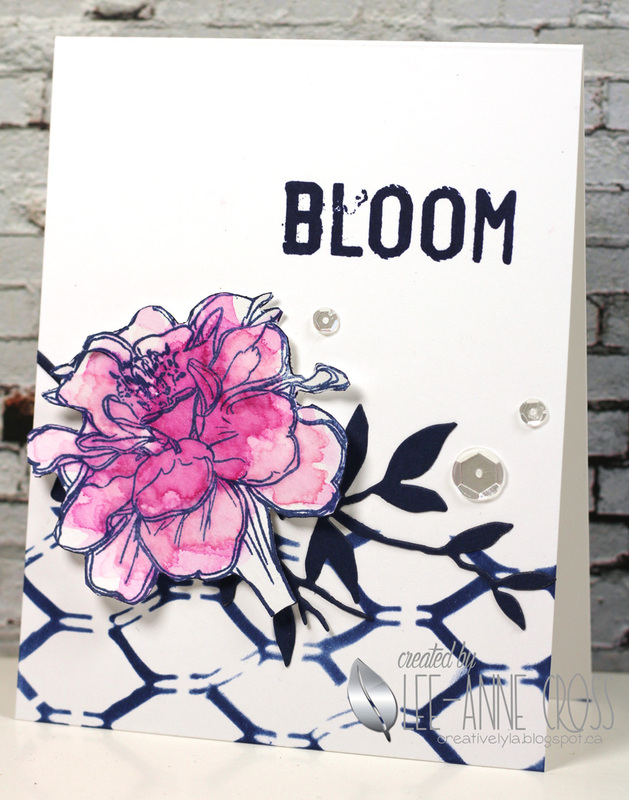 Beautiful watercoloring on your bloom, and I love your stenciled background, Lee-Anne! Stunning card! Thanks so much for playing along with us this week at Addicted to CAS! Fabulous! Perfect background for the flower! What a beautiful flower and I love how that background sets it off! Awesome! Very stunning card! Love the stencil background – and the leaves and flowers are so beautiful! Love the coloring on the flower too! gorgeous! Love the stencil background and the watercolor look of the flower! PS- THanks for joining us at Fusion! You really do beautiful work, Lee-Anne, your designs are big and bold, just the way I like em 😉 I think I'll subscribe to your blog so I don't miss anything! Beautiful card! I love the way you've colored your flower! Thanks so much for joining us at Fusion Card Challenge. Wow, Lee-Anne, this is gorgeous! I saw Karen Dunbrook's card with this flower this weekend and ordered it…and now I found your card! So inspiring! Hugs, sweet friend!